First and foremost, it’s almost Halloween!! My favorite time of year filled with masks, spooky stuff, fall at its peak, pumpkin flavored everything and the distant glimpse of Christmas. Since it is my most favorite time of the year, why not give something away?? So, a free, signed copy of my first book is available out there. If you already have a copy, why not enter for a chance to win a free one you can give to a friend or family for Christmas? I mean, that’s one gift for your cousin or Secret Santa you don’t have to trouble with. Oh, and if you have read it, check out my new review, see if it makes sense. Have fun out there and get al the candy! Giveaway ends November 10, 2015. The mini-sale on Kindle copies is ending soon! $.99 each!! WHAAAAAAT? Yup, for the same amount of change you can find in your car, you can enjoy a digital (eco-friendly, green) copy of both my books! This sale ends for A Time to Reap on the 11th and A Time to Live is going to run until the 14th. So, take a dollar gamble, read a chapter or two then come back and pick up the sequel with plenty of time to spare. Careful though, sale ends for A Time to Reap on the 11th. Why? I don’t have a clue, Amazon would not allow me to stretch it out for a week. On the plus side, A Time to Live is going to run until the 14th. So, take a dollar gamble, read a chapter or two then come back and pick up the sequel with plenty of time to spare. It may not seem like much, but to Indies, it’s almost better than currency. A review or a rating on places like Amazon, GoodReads, a blog or any venue of social media is like seeing the storm clouds part and sun shinning directly on us. As an Indie, my name is not out there; I can’t get into chain book stores; and I have a fan base that consists mainly of friends and family for the moment. The only thing that will help me continue my passion is having more people interested. Think of a new restaurant that’s opened in your town. If you went there and the food was somewhere between good and great, would you tell others? If you don’t, how will they know? Same goes for books on an almost secret society scale. There are so many to choose from, no one will ever see them without guidance or persistence. We need our readers help or we’ll surely wither away. So, for Christmas, rate the books you’ve read. Save a writer! As an author, November has by far been my worst month. A steady flat-line has plagued my sales report all month. From the last sale on Halloween to today, not a thing. It’s distressing and humbling, making me question a lot of what I’m doing right and what I’m doing wrong. Mainly, my largest fault is my impatience, followed closely by imagination. We’re all our own worst critics, but there has to be a time when it becomes clear once again that our writing is basically wonderful. Maybe we have some grammatical kinks to iron out or some issues with flow, but in all, we’ve written a story. A STORY! Think to yourselves about a friend or family member who has a dream and if they achieve it or even try to. Have they? Well, I have. Soon to be twice!! The point is, for all of the negative feedback, the criticism and growing pains associated with my writing, I achieved a lifelong goal. And the age old question of what now has loomed above. We all want our stories to do well, but alone, without an agent, a publishing house or it being a full-time job, what can be expected? Lightning doesn’t strike when and where you want it. I must learn to dream big, expect small and hope for whatever should happen, will happen. In the giving spirit, I have a book giveaway happening right now on Goodreads, feel free to put your name in and hopefully you’ll become one of the lucky ones! It runs until the 16th of December and is absolutely free and anonymous. Another item I plan on doing is what I’d like to hope as the Pay it Forward method. I am going to give three digital copies away. One on WordPress, one on my Facebook Page and one on my Twitter page. It’s first come, first serve. I’ll gift it to your Kindle with no real expectations or obligations. My hope, if you enjoy the book, try to Pay it Forward. Gift a copy, or three, to someone you know that might like it. If you don’t, I understand, it’s a gift for $1.29. No harm no foul. So, be the first to respond and I’ll get in touch with your info and you have a free book. My Merry Christmas to you! And if you’re still debating to start on a dream of your own, my only advice is to start now. There will always be another dream waiting. I’ve got about 20 feet to go before my 1000 mile journey is over. At this point, I’m walking into it. I want to enjoy it all. I am curious who will be my first official reviewer. Also, I’d love to see some more of you on GoodReads, I crave friends and fans. Current Sales Rank: #85,387 in Kindle Store <—- Here it is!!! Pemberton Academy is not just a school, it’s a gathering place for the children of the future that are afflicted with Temporal Displacement and Telepathy; in short, time travelers and mind readers who have been diagnosed with this “disease.” The Academy is not all as it seems after an explosion nearly takes one of its classmates, but not before Carter Gabel rescues her by using an unknown symptom related to his described illness. An unsanctioned group called the Program begins taking notice as the two classmates exhibit stronger abilities when they are together. Carter’s sense of reality begins to unwind as he learns more about his estranged father’s involvement with it all. 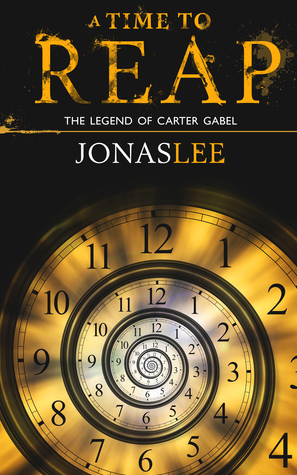 Carter will have to overcome the past of his father leaving, the present of an unknown adversary hunting him down and a future that seems to change with each decision he makes. He will have to learn who to trust out of the people in his life if he wants to conquer the looming notion that the government may be hunting him down because of his developing abilities. This Thursday’s showcase can truly go to none other than Shannon A. Thompson. Mainly, Shannon has been a blogging/author inspiration to me in different forms AND she also has a new release available today. Yes, TODAY! Seconds Before Sunrise is the sequel in her Timely Death Trilogy and I am certain is going to draw twice as much attention. When most authors get above 5,000 followers, let alone above 10K, the responses and replies get fairly limited or sporadic at best. Shannon has amused my questions and responded to every email I’ve sent her, thankfully! A published author since the young age of 16, Shannon continues to foster stories and work toward a personal goal of opening an affordable art school (help her out). This is not the Swedish pop band from the early 70’s. ABNA is the Amazon Breakthrough Novel Award. This is the contest I entered on Sunday. It’s put on through CreateSpace which is a site I suggest for any downtrodden writers thinking about self-publishing. If you don’t have an account, they’re free and you can get rid of it afterward. But it’s free to join and they take the first 10,000 entries total. The deadline is March 2nd, so if you ever wanted to try and expand your horizon, this is it. The first phase is writing a pitch. Granted, you will have to submit a pitch, 3-5,000 word sample and a full manuscript when you enter (can’t just go a step at a time). From there, they will select 400 entries in each genre. Those 400 will have their samples read and judged by select Amazon Vine reviewers and editors to select 100 to go on to the quarter finals. The Quarter Finals will have editors go through and review the full manuscript and weeded down to the Semi Finals consisting of 5 writers per category. A Grand Prize winner will be selected by Amazon readers and receive a $50,000 advance and have their book published on Amazon. The runner ups will get a $15,000 advance and have their book published. If nothing else, it’s an experience to attempt. And, if editor’s read your work, guess what? Your name is getting out their a little at least. So, give it a shot if you’re willing. Links are below! Well, I take my weekends to recharge from blogging and work on writing (on top of household projects. Please feel free to Like me on the Facebooks or let me know how I’m doing here.